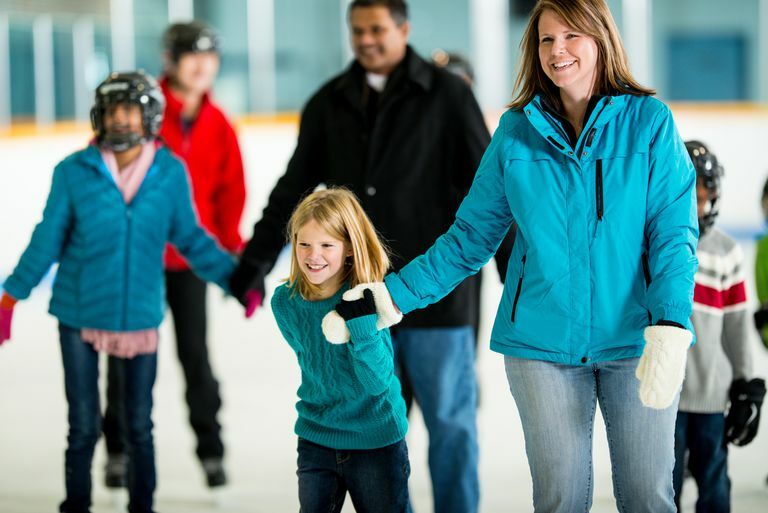 Wondering if your kids should ice skate? These reasons will probably convince you it's a great idea! Ice skating is considered a winter sport, but can actually be done year-round since there are indoor ice arenas all over the world. People of all ages participate in ice skating, even though the majority of ice skaters are children and teens. Recreational ice skating burns more than 250 calories per hour. Figure skating and speed skating are individual sports. Synchronized figure skating and ice hockey are team sports. Once ice skating basics are mastered, children, teens, and adults can branch out into single skating or pair skating, ice dancing, synchronized skating, hockey, or speed skating. Very young children can give ice skating a try; some parents get their children on the ice as soon as they are able to walk. Many ice arenas offer tot ice skating lessons or "Parent and Me" ice skating classes. Tip: Introduce very young children to skating at a roller skating rink where toddlers and preschoolers can walk on locked roller skate wheels. Children don't get wet or cold in roller skating rinks and usually don't cry even when they fall while roller skating. Once a child can roll around on roller skates, the transition to ice skates comes easily. Not sure if figure skating is for you or your kids? Save money by using rental equipment as you test the waters. Rental skates are fine to use initially, but for those who are serious about learning to figure skate, it is essential to buy good boots and blades. Warm clothes and mittens or gloves are also necessary. Helmets are recommended for beginning skaters. Figure skating attire can be bought online, at dance stores, and at skating rink pro shops. Convinced? Here's how to get started. 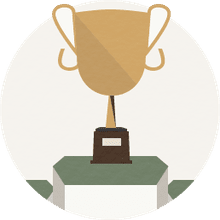 Most ice rinks offer group ice skating lessons, and part of most standard group figure skating lesson courses include the chance to take achievement basic figure skating skills tests. Some ice arenas use the U.S. Figure Skating Basic Skills Test Program; other skating rinks offer Ice Skating Institute (ISI) tests. Skaters receive stickers, certificates, and badges after passing these skating tests. Some of these test levels are Basic 1--8, Freestyle 1--8, Dance, Pairs, Hockey, and Alpha, Beta, Gamma, and Delta badge tests. Group lessons are usually sold as a six to twelve-week series, but the cost per lesson comes to about $10 for a half hour of instruction. Skate rental is usually included in group lesson costs. Admission ranges from $3.00 to $7.00 for one to two hours of open skating. Skate rental during public skating sessions usually is an extra $1.00 to $3.00. Private ice skating lessons are very expensive. Costs range from $20 to $40 for twenty minutes or $30 to $60 for thirty minutes of instruction. Ice time costs are not included in the cost of private ice skating lessons. Beginning ice skaters should practice at least once or twice a week, but advanced figure skaters need to practice every day.